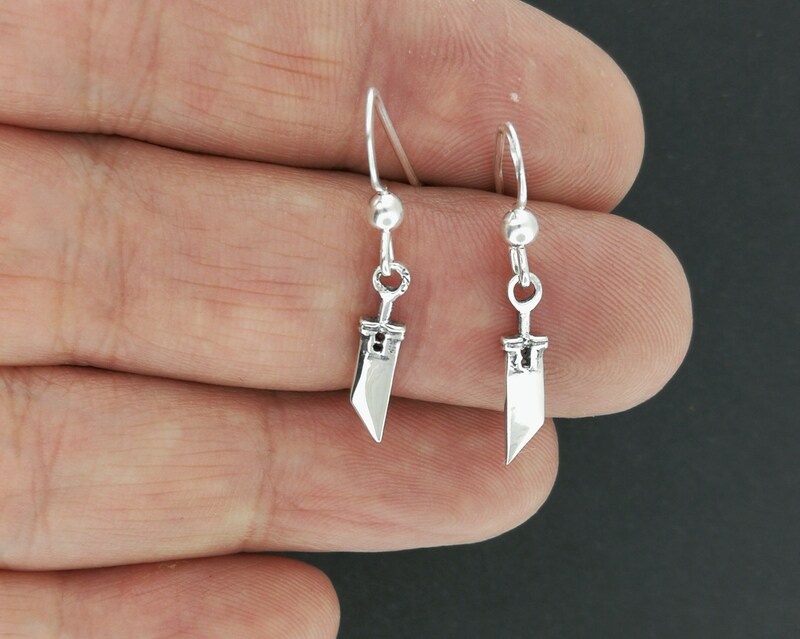 This is a pair of handmade buster sword charm earrings in sterling silver based on the sword Zack gave Cloud in Final Fantasy; Crisis Core game. 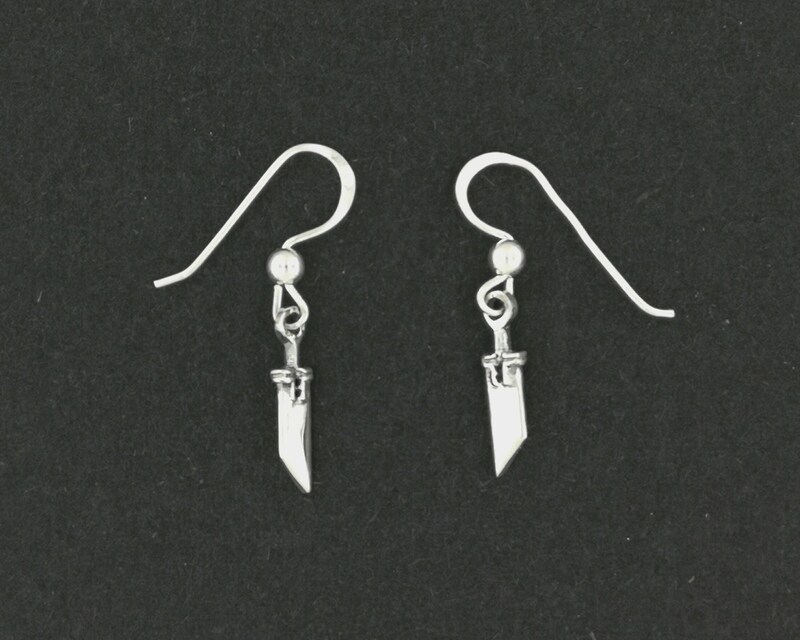 The earrings are made in solid sterling silver and are 1/2 and inch long and 1/8th of an inch wide and are double sided. The jump ring on the pommel of the sword is where the ear wire holds them. I'm an huge Final Fantasy RPG fan, and have always loved the awesome jewellery. The problem; it was a cheap chinese knockoff in pewter, and I'm very allergic! The solution; make my own in silver but better! And here we are! These were first commissioned by a fellow fan who loves the game as much as I do! Very well made, it is a bit smaller than expected but I love it regardless. It also arrived fairly quickly. Thank you !